With over 70% of the US online population using at least one social network regularly, social media is an integral part of people’s lives and daily media consumption. Increasingly, social media is a staple of most marketing plans. In some firms, social media has extended beyond marketing and communications to the entire organization, often known as social business. 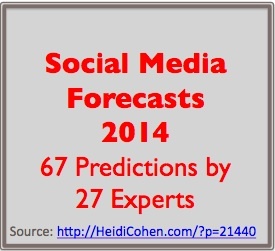 To better understand where social media is headed in 2014 and what it means for B2B, B2C, Not-For-Profit and solopreneur businesses, here are 67 social media forecasts for 2014 provided by 27 top social media experts. Social media will become a fully integrated part of a brand’s marketing and communications plan. At Arment Dietrich, social media has become “Shared Media” – and it’s a part of our overall Shared, Earned, Owned strategy for ourselves and our clients. The days of social media being a separate entity – identity even – are gone. Companies need to realize how important it is to integrate social into every part of their marketing and communications plans of 2014. Lindsay Bell & Laura Petrolino – Arment Dietrich, Inc.
Online and offline will become more collaborative. Although over the past few years many brands have been working tirelessly to extend social engagement past the digital space, it has tended to be a rather clunky and non-intuitive endeavor. 2014 will bring the rise of more seamless transmedia experiences, which will allow consumers to step from digital to real world in a more natural and beneficial way. This will also allow social to take a stronger role in actual offline purchase decisions, past just a brand awareness aspect. Lindsay Bell & Laura Petrolino – Arment Dietrich, Inc.
Video will become more engaging and interactive. Brands will have a great opportunity to not only to tell their story, but also to do so in a way that provides viewers with the ability to continue the interaction past the initial touchpoint. The launch of Facebook video ads is the beginning of a new outlet for organizations to target video messaging based on the consumer’s behavior and/or self selection criteria. It will appeal to our increasingly short attention spans and need for active media. Lindsay Bell & Laura Petrolino – Arment Dietrich, Inc. I think (and hope) that we are finally going to see smart companies realizing that they need to do more than build followings on various social networks and finally start building a real community with their customers. C.C. 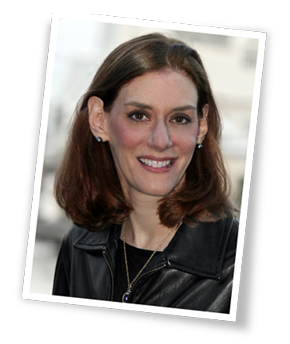 Chapman – YSN; author of Amazing Things Will Happen & co-author of Content Rules. For years I’ve been preaching not to build so much on rented land and the recent Facebook changes drove this point home to lots of people and there was panic. Hopefully this drives more companies to look at their web pages and everything they create to make sure they own the relationship rather than Mark Zuckerberg owning it. C.C. Chapman – YSN; author of Amazing Things Will Happen & co-author of Content Rules. Ads will appear on Google+ in 2014. Andy Crestodina – Orbit Media; author of Content Chemistry. Twitter will get more aggressive with sponsored content and advertising. Andy Crestodina – Orbit Media; author of Content Chemistry. There will be more experiments in the integration between social media and TV. Traditional media producers are getting much smarter about curating bits of social media content. Look for innovation there. Andy Crestodina – Orbit Media; author of Content Chemistry. The cry for better models of value determination in social media are growing and growing. I interview dozens of brand marketers each quarter, and I hear this in most of those interviews. Ric Dragon of Dragon Search; author of Social Marketology. The continuing rise of the use of social advertising to give a bump to social media activities. Ha! You thought all of those social platforms were being built out of the kindness of someone’s heart – no way – they’re out to make money, and brands are where that money is coming from. Watch out for more integrated advertising in Twitter, Facebook, and LinkedIn. Ric Dragon of Dragon Search; author of Social Marketology. And speaking of LinkedIn – it’s undergone massive changes. The showcase pages are one of the latest enhancements. It only takes a little imagination to see what this will mean when coupled with targeted LinkedIn advertising. Ric Dragon of Dragon Search; author of Social Marketology. Pay to play. More and more companies will pay Facebook, Twitter and LinkedIn to promote their posts, as these companies need to monetize. Dave Kerpen of Likeable Media; author of Likeable Business & Likeable Social Media. Twitter world. Twitter’s IPO causes “real people” to finally join the marketers, media and celebs on Twitter in huge numbers. Dave Kerpen of Likeable Media; author of Likeable Business & Likeable Social Media. LinkedIn opens up its blogging platform to its entire userbase, expanding its influencer program, and effectively becoming the default professional blogging platform. Dave Kerpen of Likeable Media; author of Likeable Business & Likeable Social Media. In the rush for marketers to be everywhere in social media, more brands will take a strategic look at social media and start to put resources into the “few” and discard the “more”. Better said, marketers will stop all the experimentation and start to put investment behind those platforms that are proven to work. 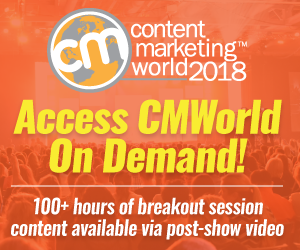 Joe Pulizzi of Content Marketing Institute; author of Epic Content, Managing Content Marketing & Get Content Get Customers. Across these diverse 2014 social media forecasts, there are consistent themes. Among them are expanded use of connected devices including smartphones, tablets, televisions and beyond, more diverse use of social media platforms, increased need for social media advertising, need to engage with customers to drive sales, and the integration of social media data. Tags Andy Crestodina, Apu Gupta, C.C. Chapman, Connie Benson, Dave Kerpen, David Berkowitz, Dayna Rothman, Emeric Ernoult, Heidi Cohen, Ian Cleary, Joe Pulizzi, Jonah Berger, Kelly Hungerford, Kristi Hines, Laura Petrolino, Lindsay Bell, Lisa Buyer, Michael Brenner, Mike Stelzner, Neal Schaffer, Nick kellet, Orli LeWinter, Pawan Deshpande, Ric Dragon, Rob Peterson, Sam Decker, Tommy Walker. Bookmark the permalink. Great article. There was so much good information that I shared the link on my Facebook page. Thanks so much for compiling this list of where social media is heading. 10. It will be interesting to see how they will monetize. Not sure if I would have passed up on a $3 billion dollar buyout without a plan. They have to have something up their sleeve.